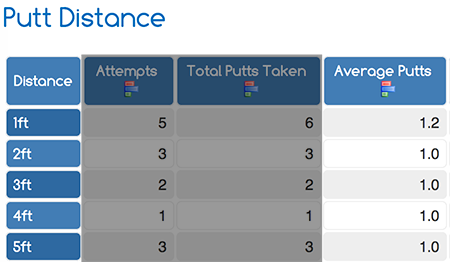 Putts to Hole is a set of statistics that shows the average number of putts a player takes to hole out from certain distances. 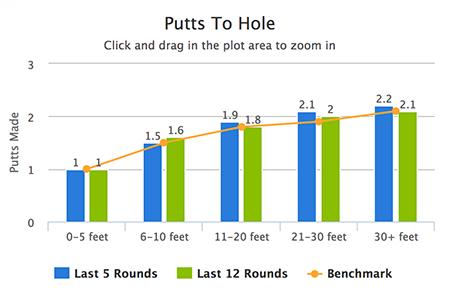 Lower numbers indicate better performance as fewer putts are better. These stats are best used in conjunction with a benchmark statistic such as Average Stokes Gained to identify areas that need improvement.